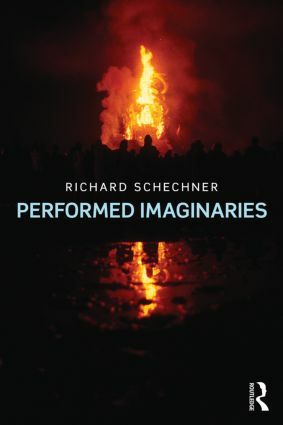 In this collection of essays, performance studies scholar and artist Richard Schechner brings his unique perspective to bear upon some of the key themes of society in the 21st century. Schechner connects the avantgarde and terror, the counter-cultural movement of the 1960s/70s and the Occupy movement; self-wounding art, popular culture, and ritual; the Ramlila cycle play of India and the way imagination structures reality; the corporate world and conservative artists. Schechner asks artists to redeploy Nehru's Third World as a movement not of nations but of like-minded culture workers who must propose counter-performances to war, violence, and the globalized corporate empire. With characteristic brio, Schechner urges us to play for keeps. "Playing deeply is a way of finding and embodying new knowledge", he writes. Performed Imaginaries ranges through some of the key moves within Schechner’s oeuvre, and challenges today’s experimental artists, activists, and scholars to generate a new, third world of performance. 9/11 as a Work of Art?